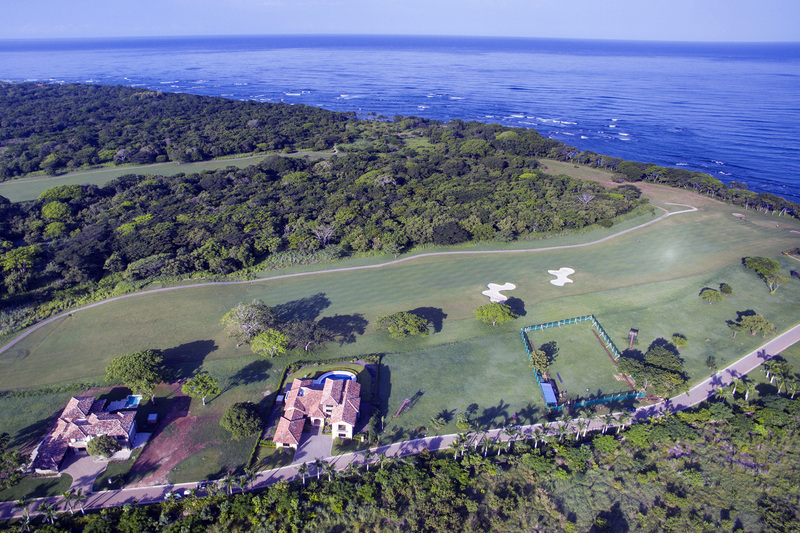 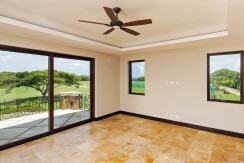 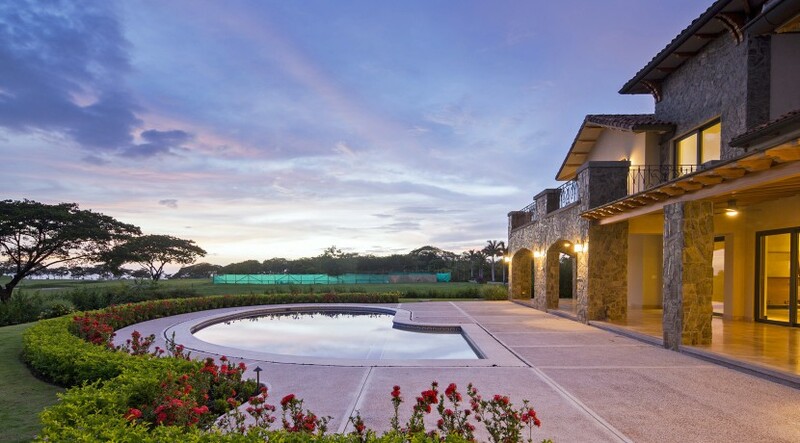 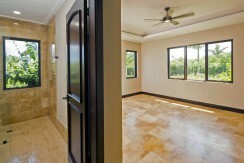 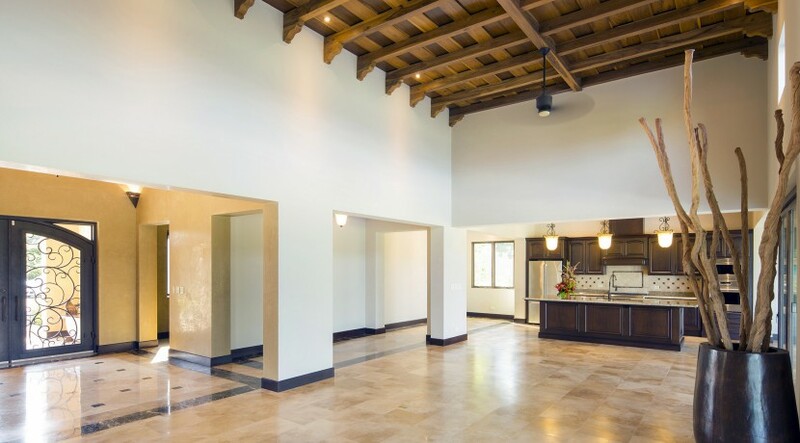 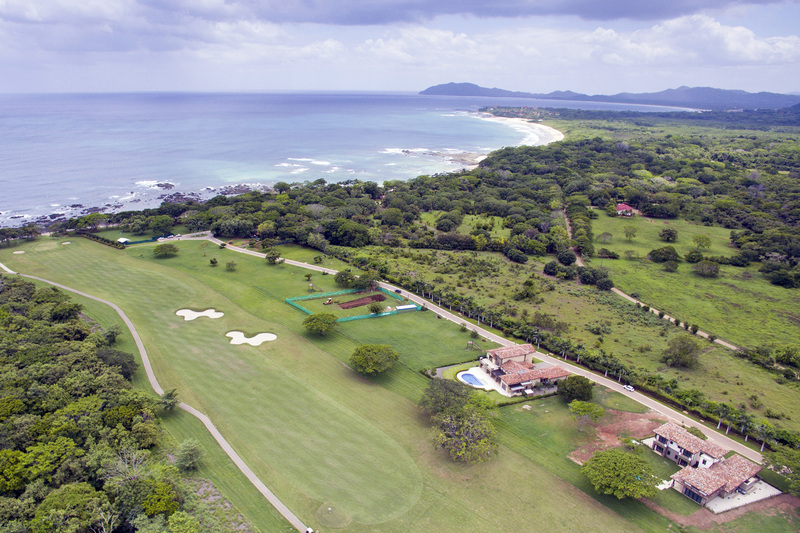 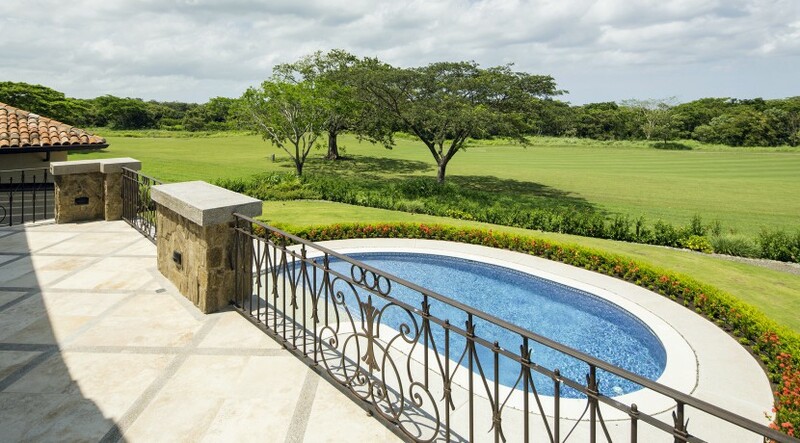 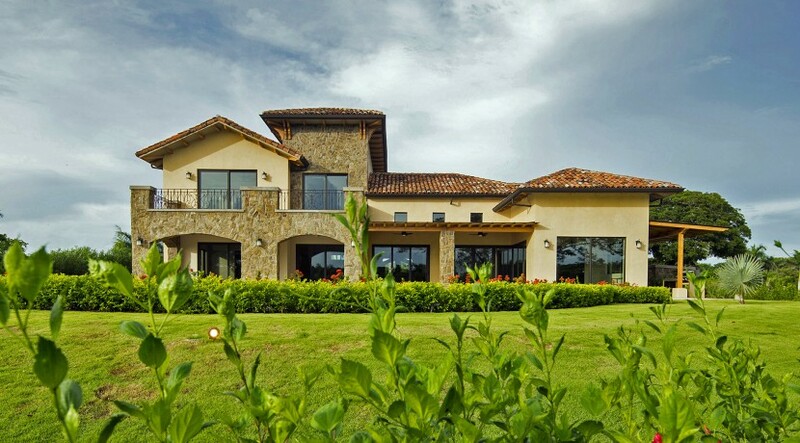 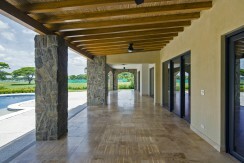 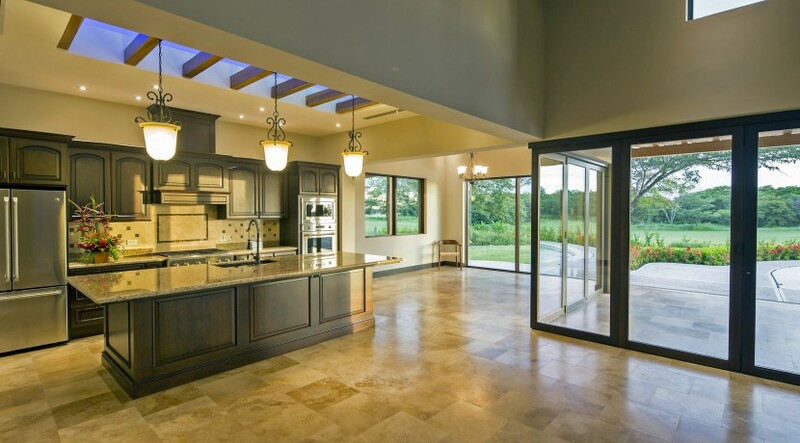 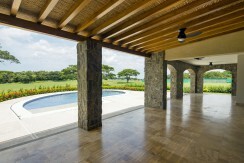 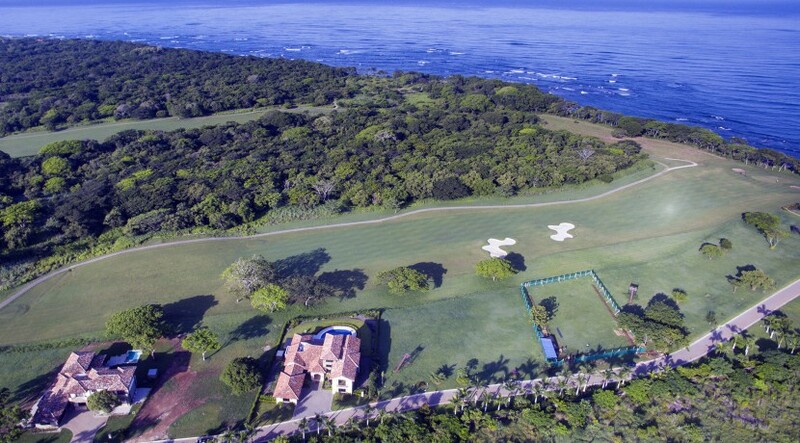 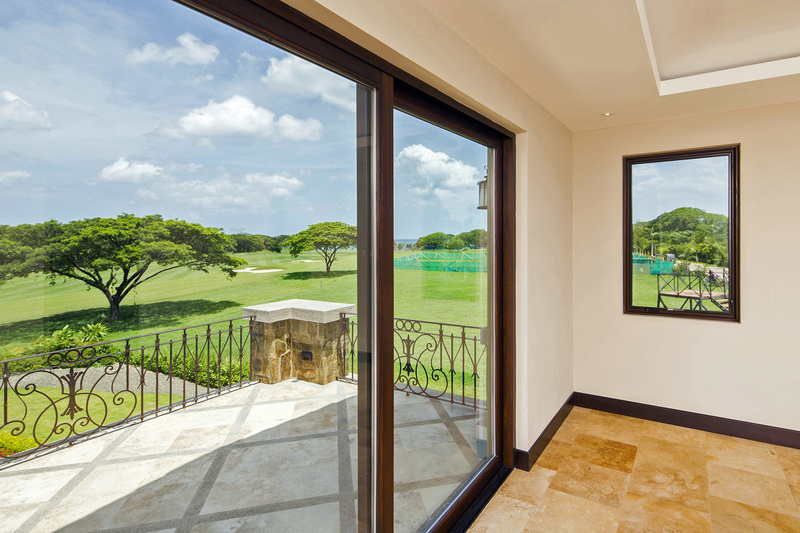 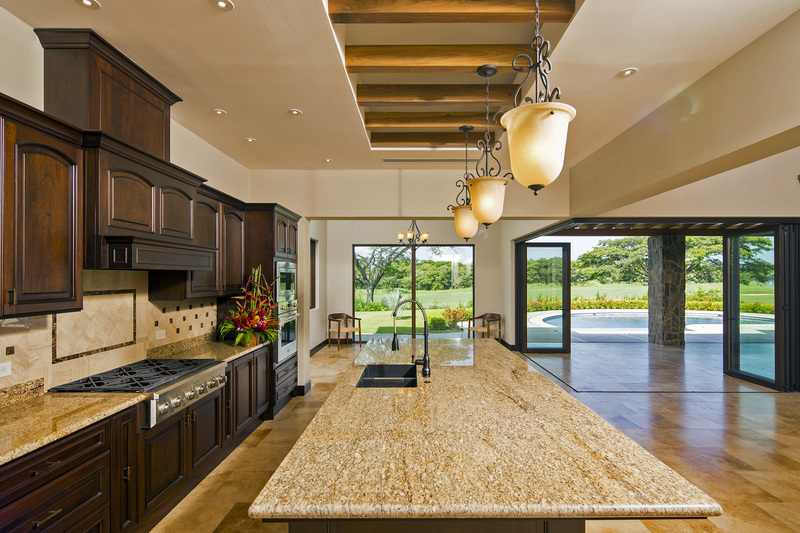 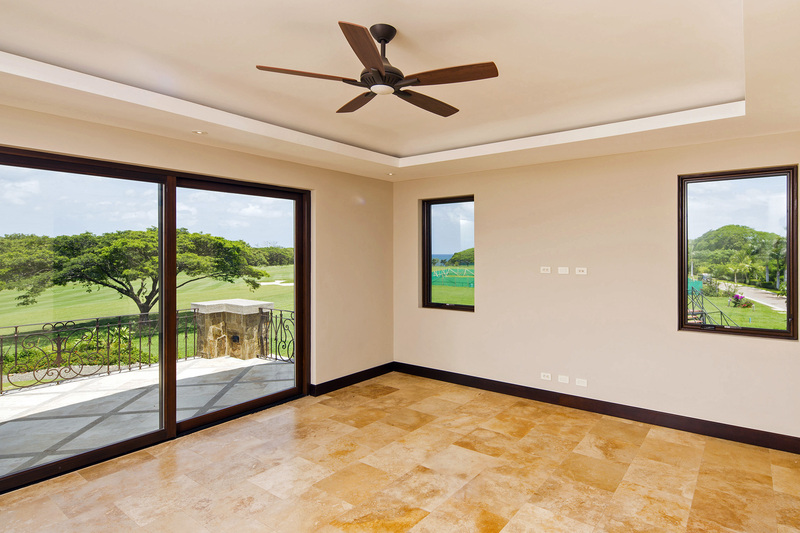 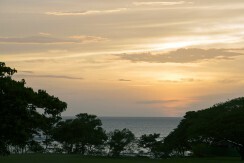 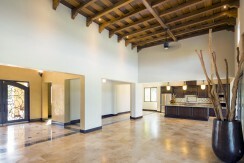 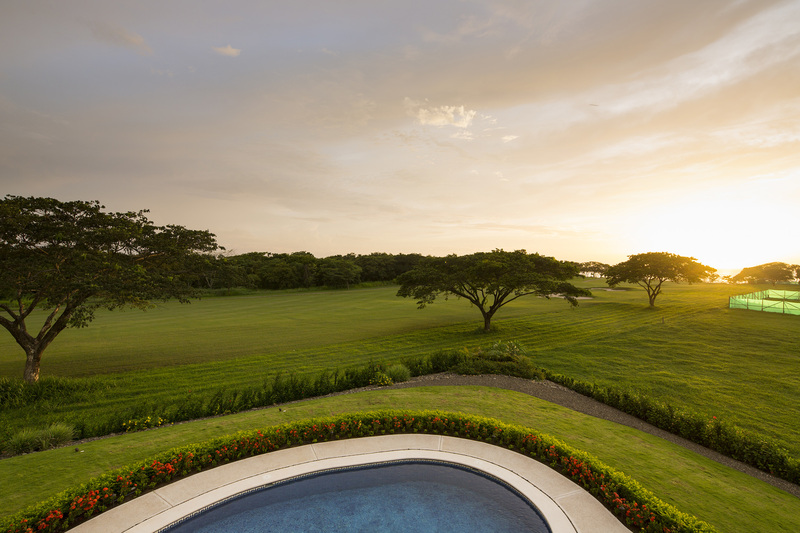 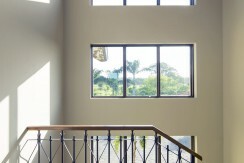 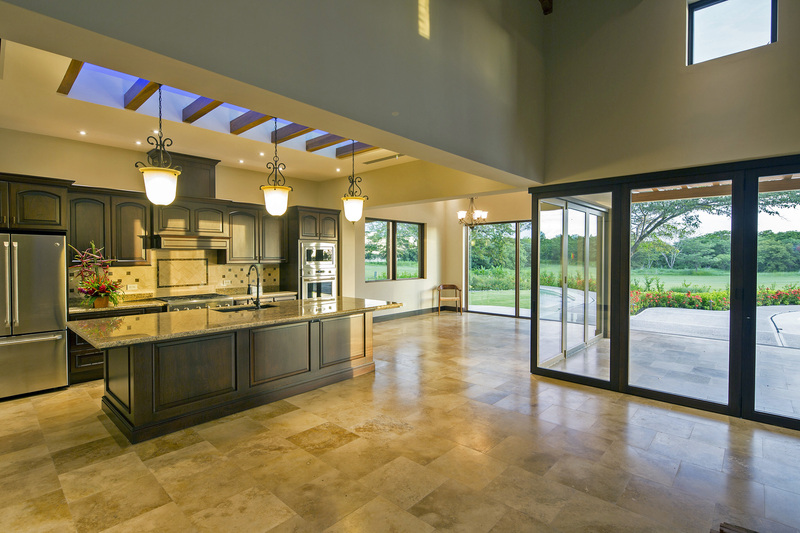 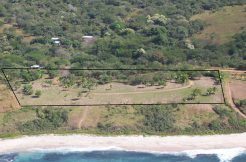 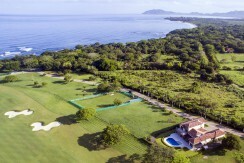 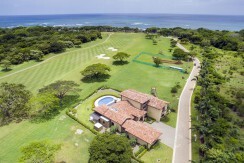 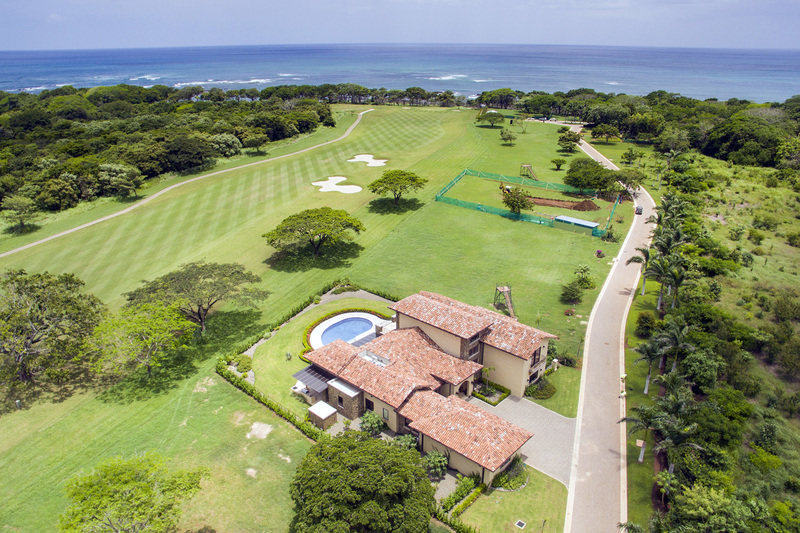 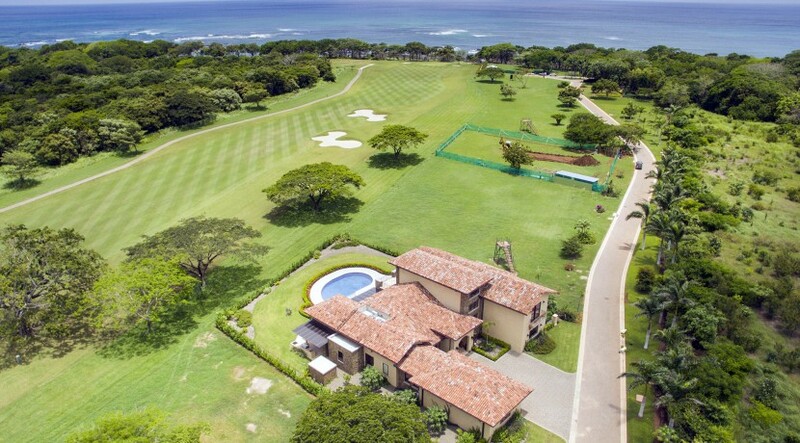 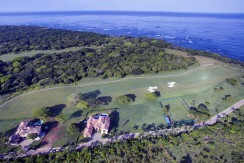 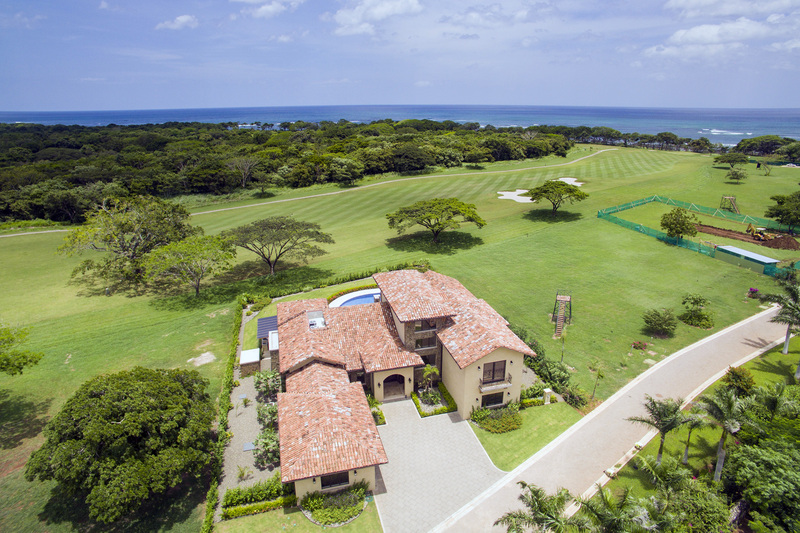 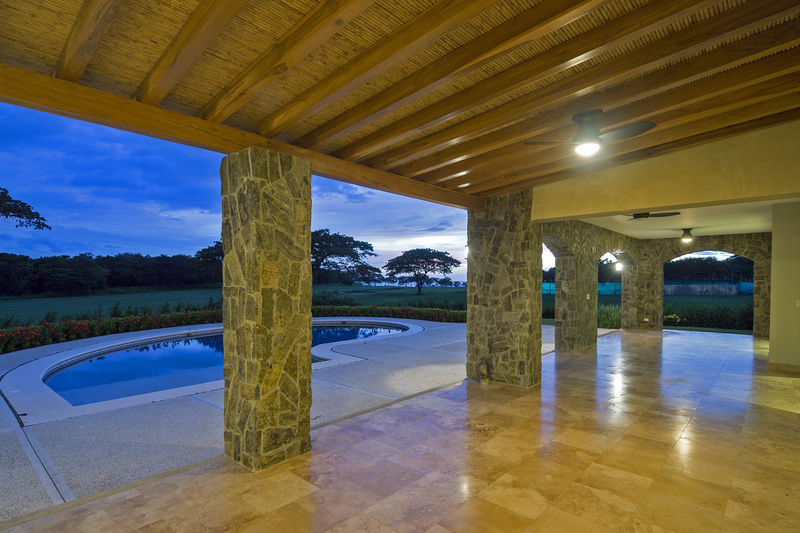 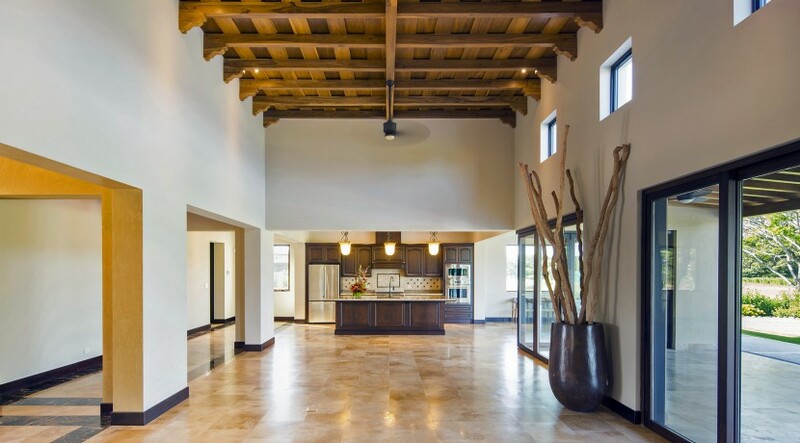 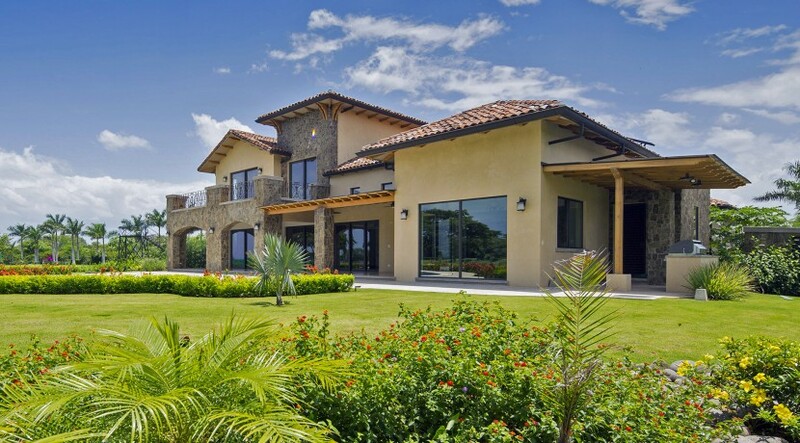 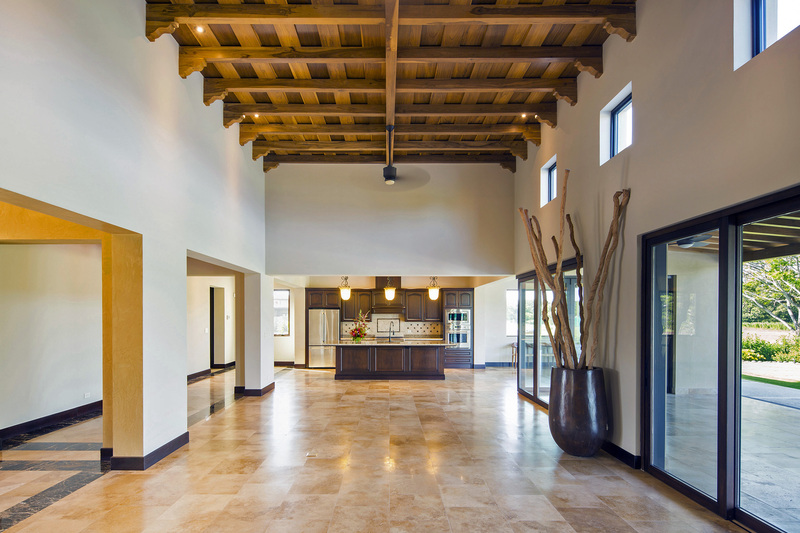 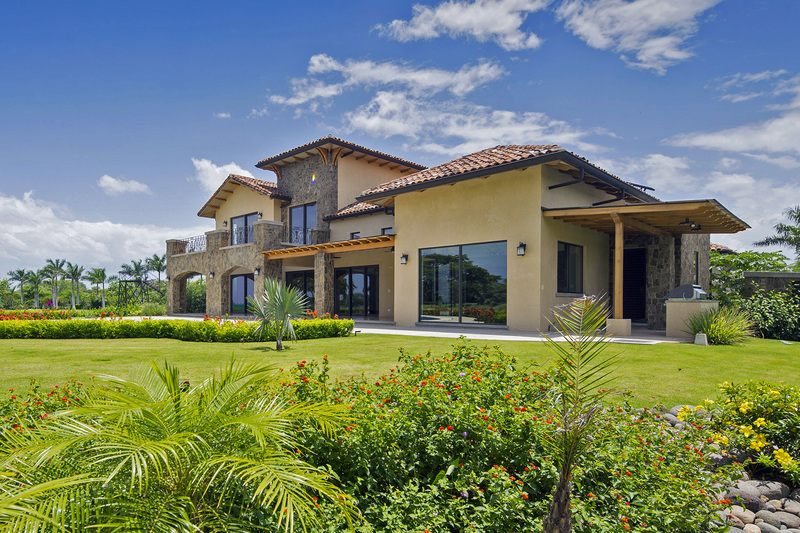 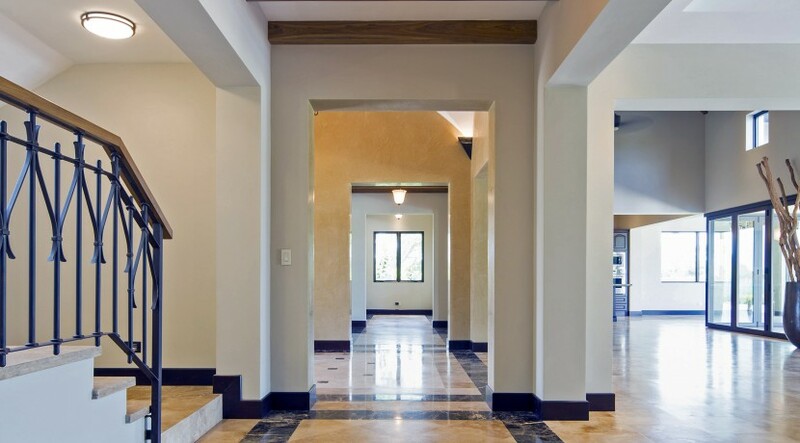 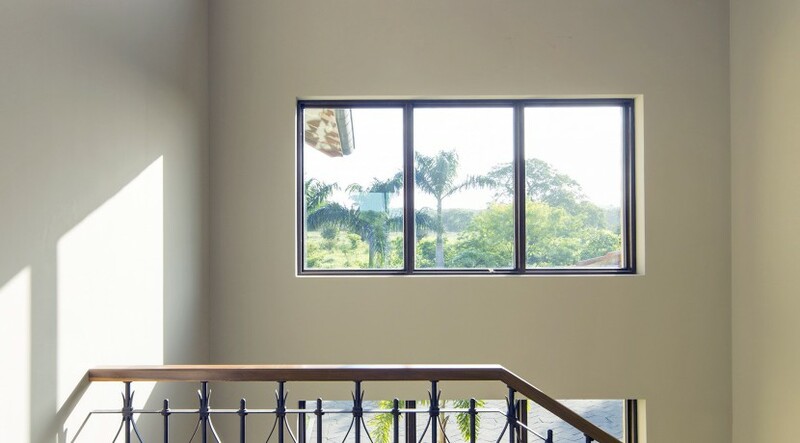 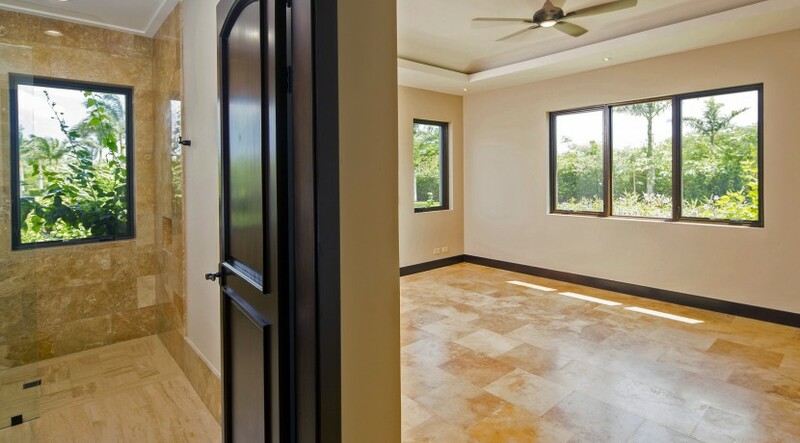 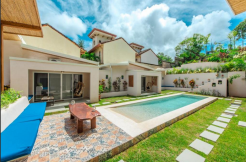 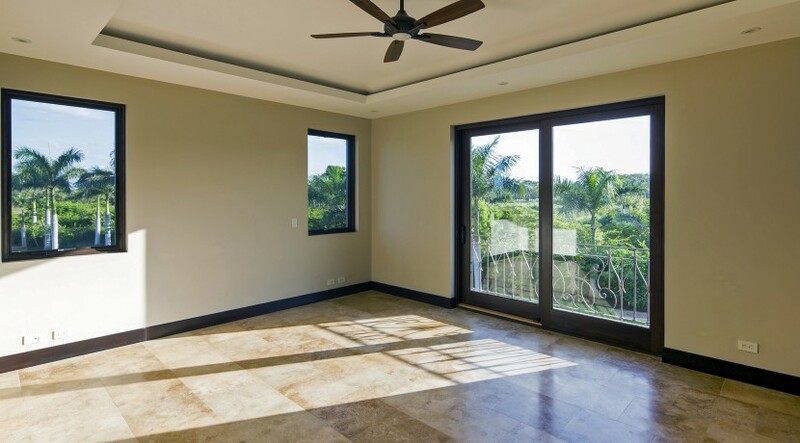 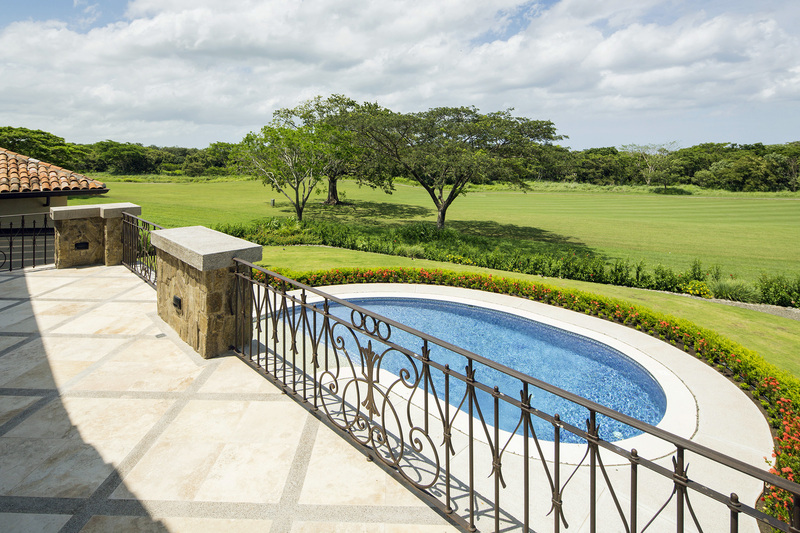 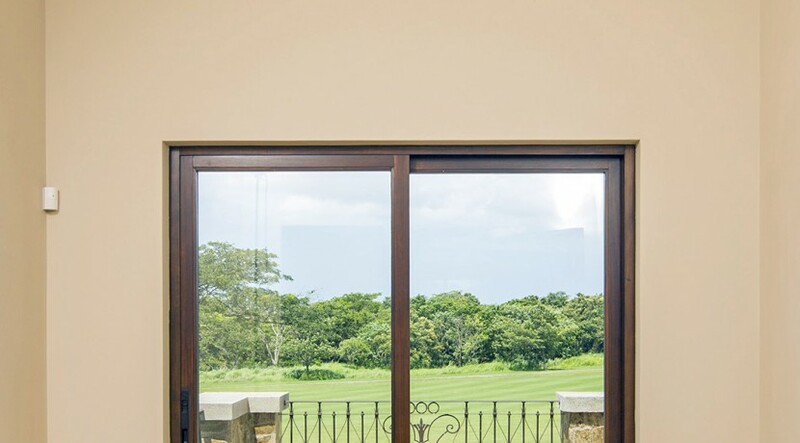 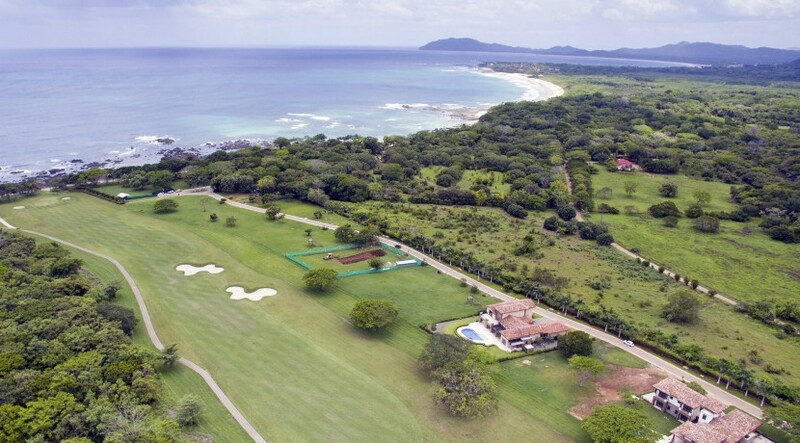 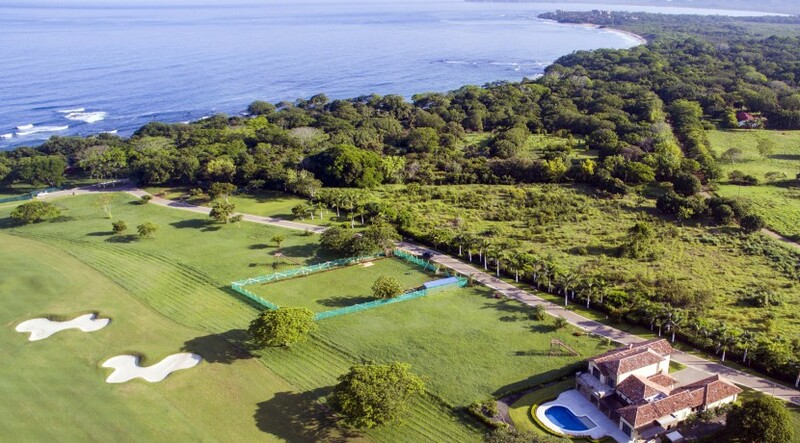 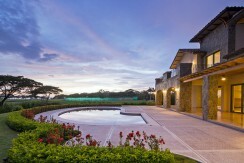 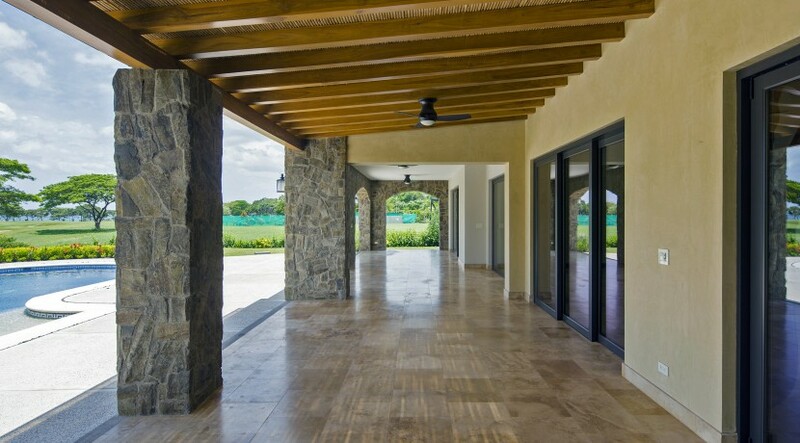 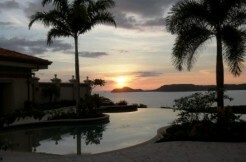 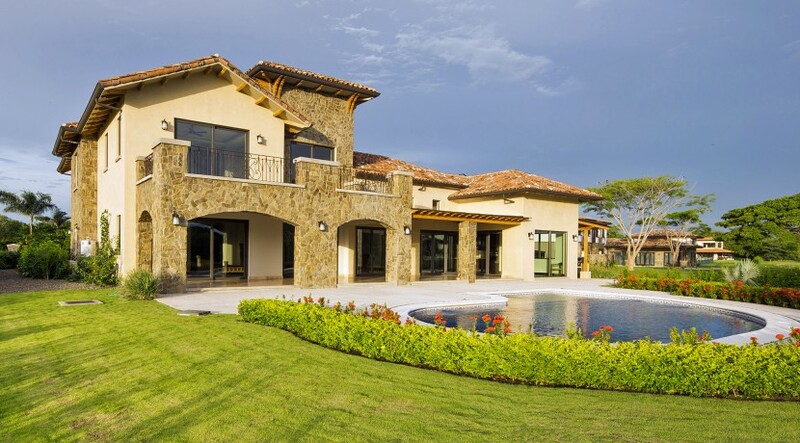 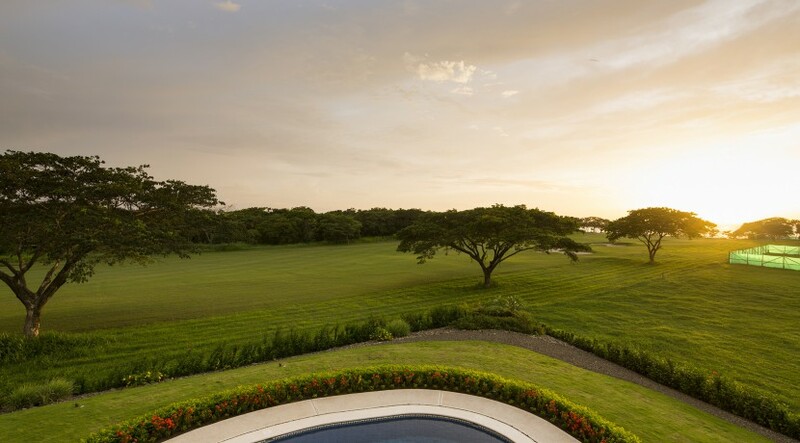 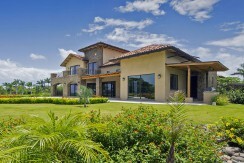 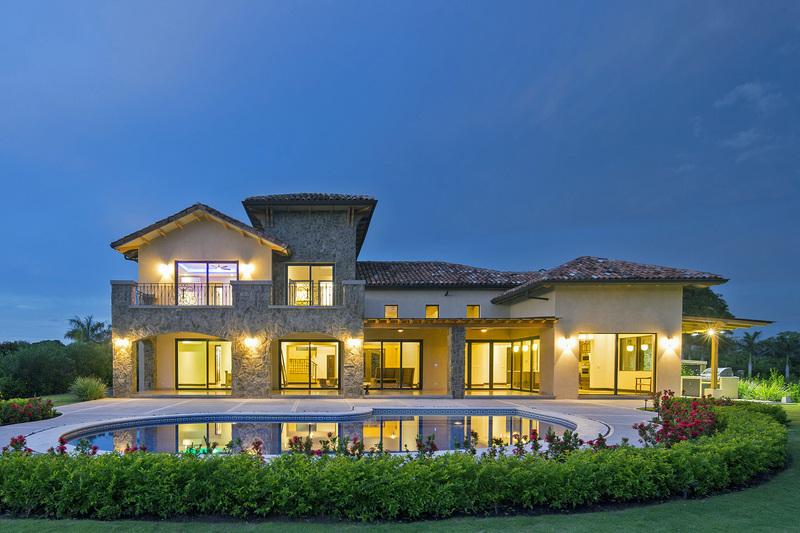 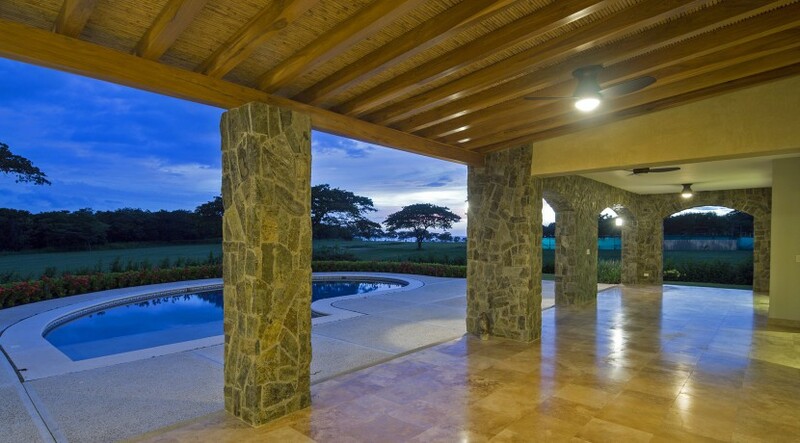 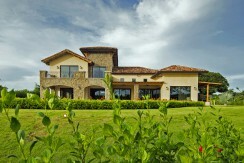 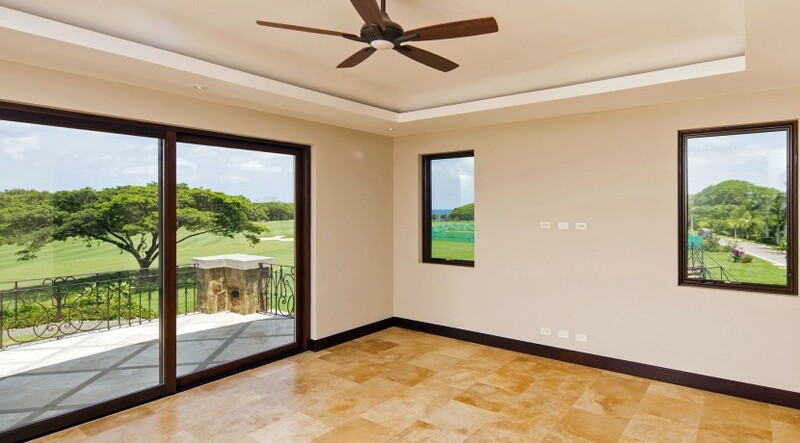 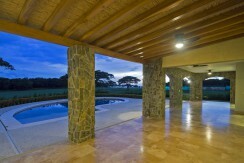 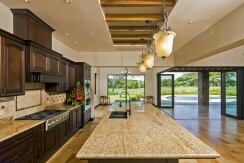 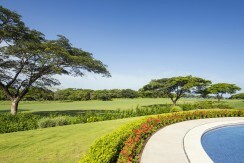 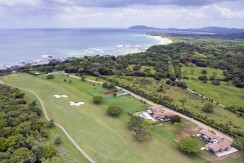 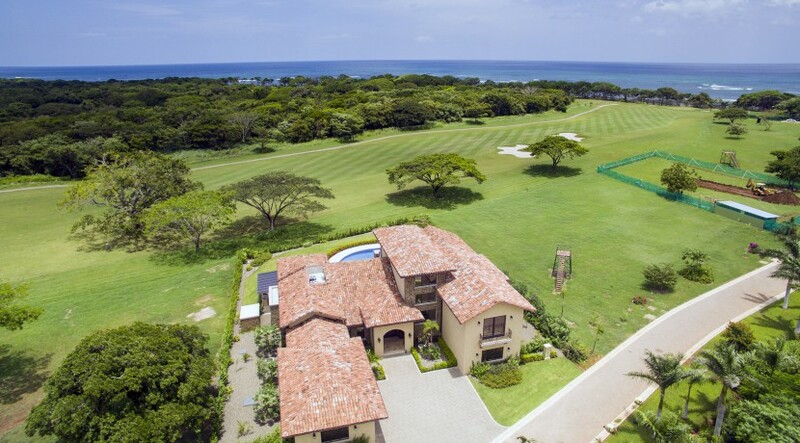 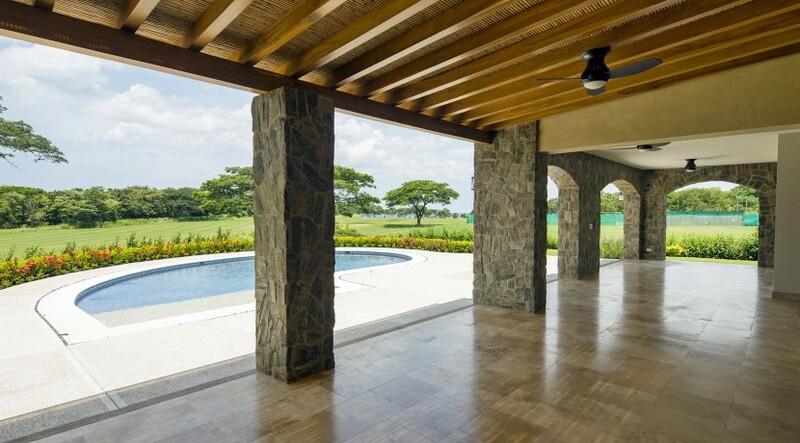 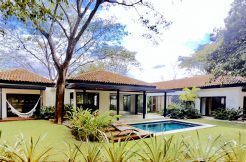 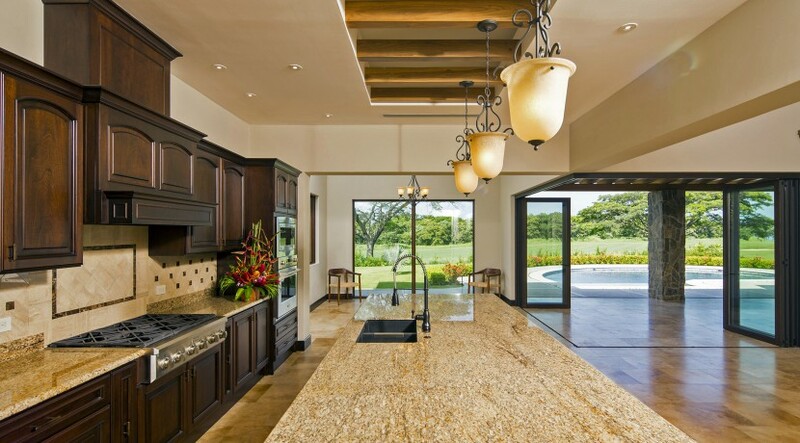 Absolutely one of the finest homes is now for sale in the authentic Costa Rican resort of Hacienda Pinilla, Guanacaste. 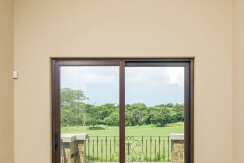 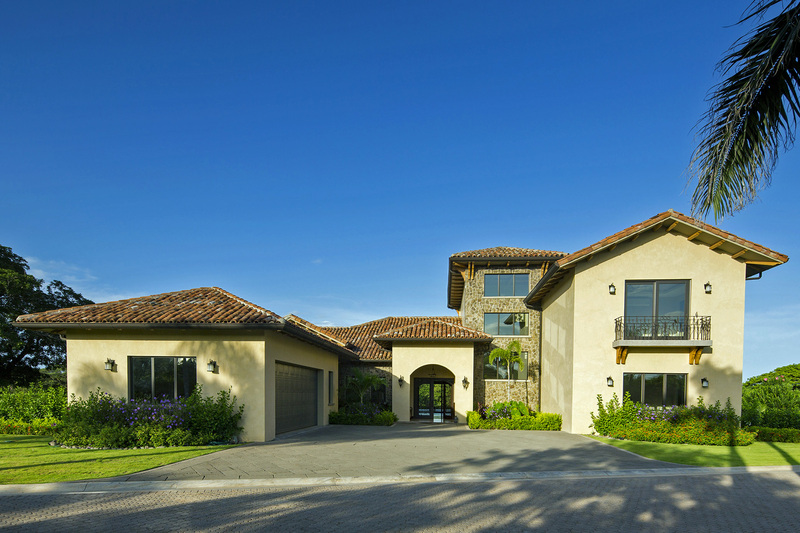 On the northern end of the 4500 acres is an intimate gated community of 23 homesites, La Dulce Vida – ‘The sweet life’. 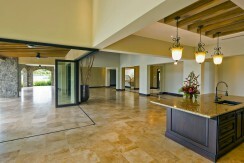 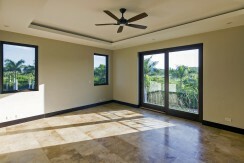 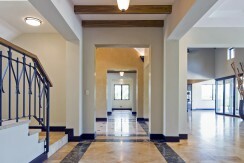 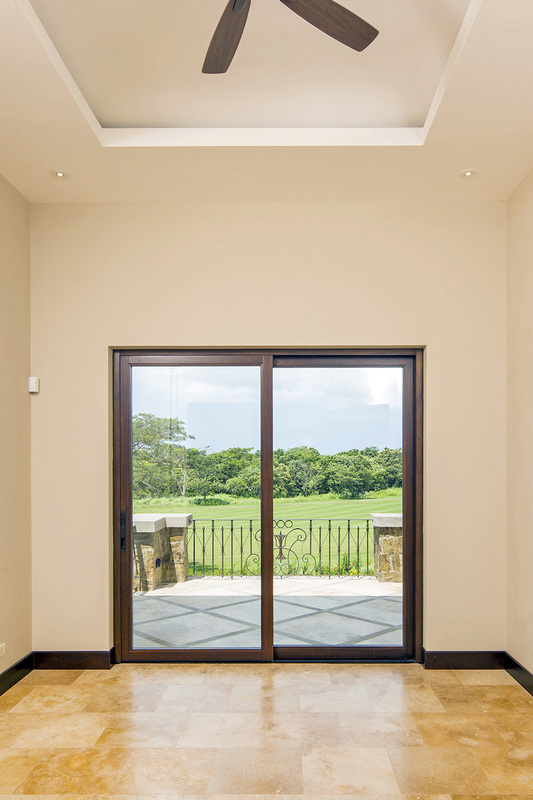 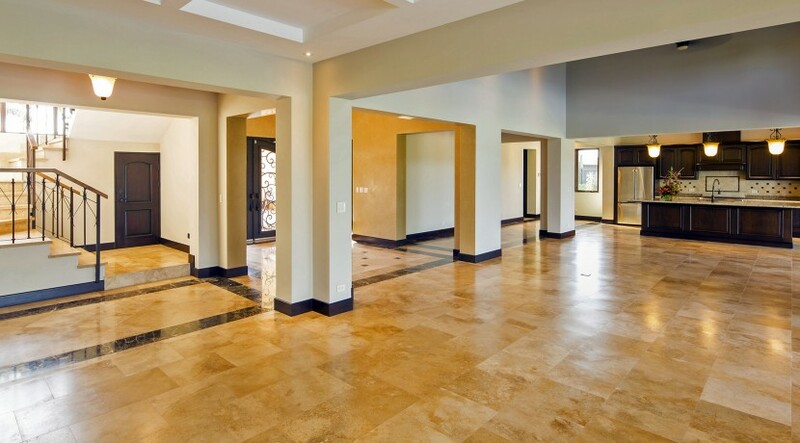 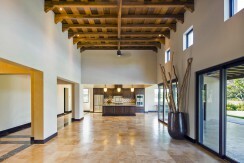 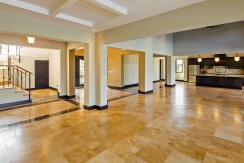 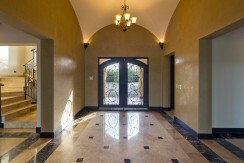 Now completed is a stunning 2-story estate with outstanding views of the lush golf course and the pacific ocean beyond. 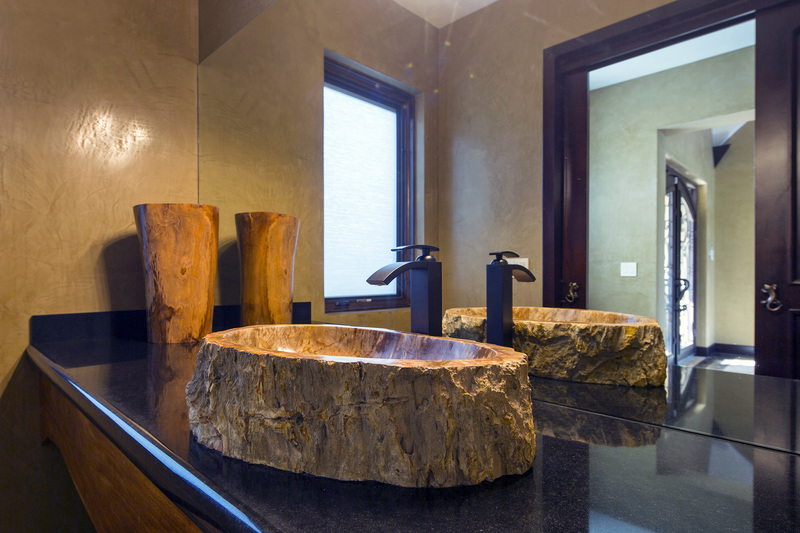 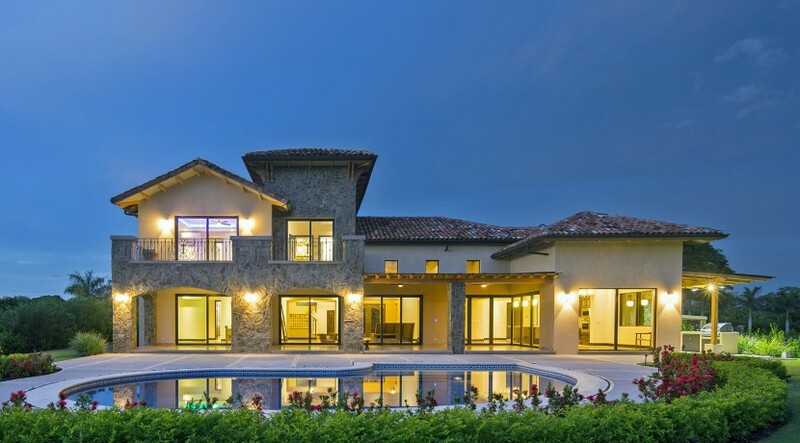 Luxury and elegance abound here! 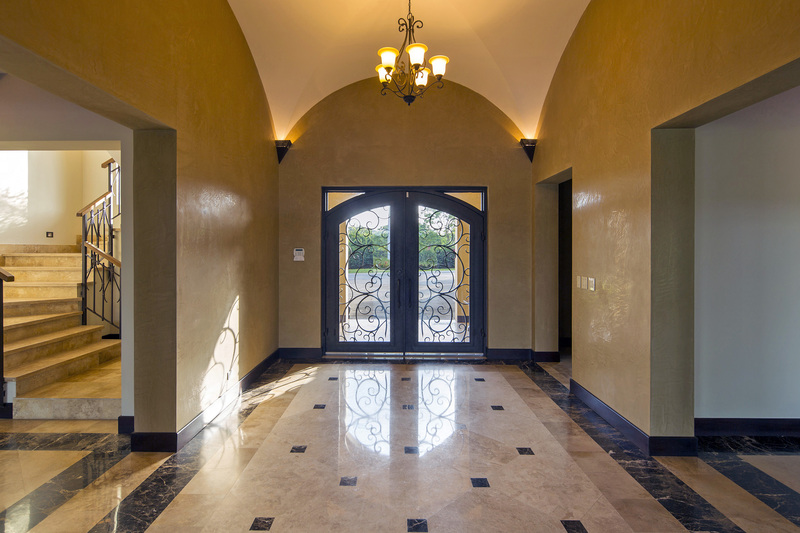 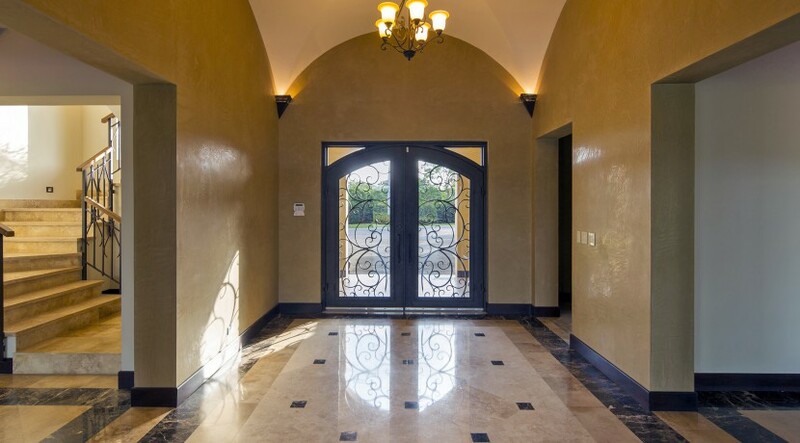 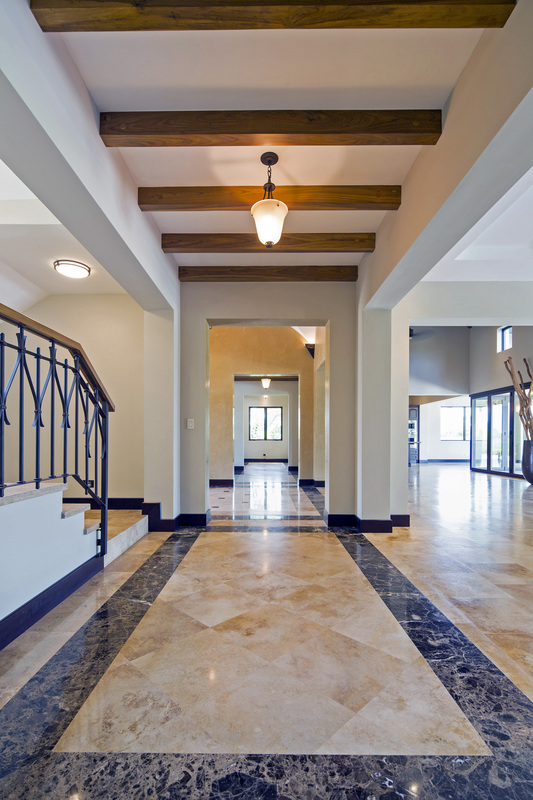 With 7,165 sq feet of quality finishes and cathedral ceilings in the main salon, the home is filled with beautiful details for the executive family. 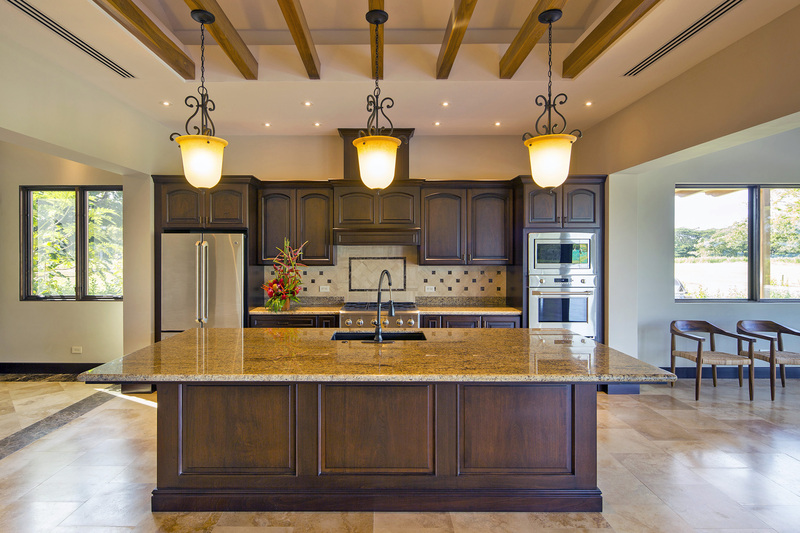 The kitchen is out of a design magazine with beautiful hand crafted cabinetry, a spacious island, chef quality appliances and incredibly roomy pantry. 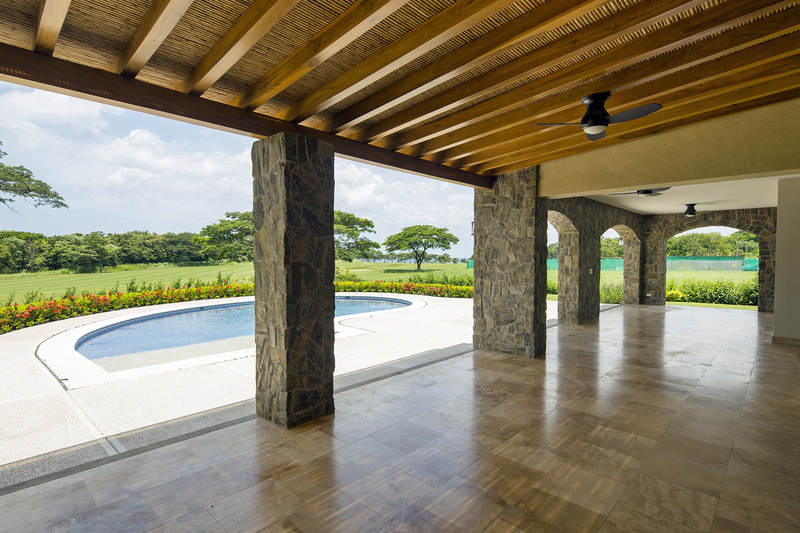 Designed specific to Costa Rica’s warm climate and year-round, summer breezes, the dining room and salon has disappearing doors so that the interior space flows effortlessly to the covered terrace, refreshing pool and lounge area. 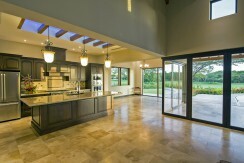 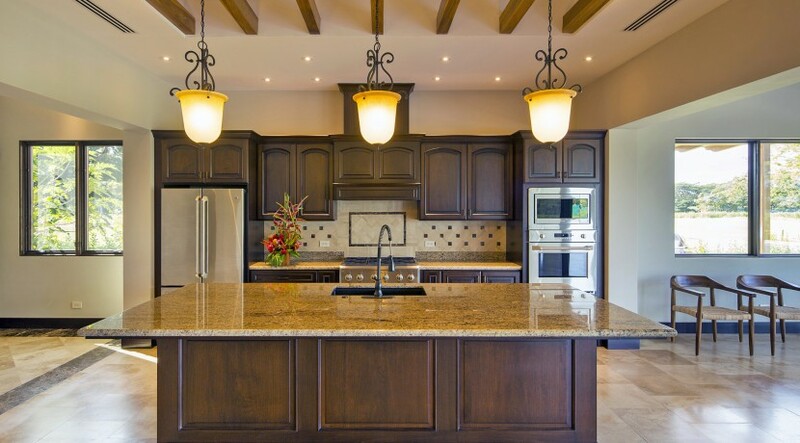 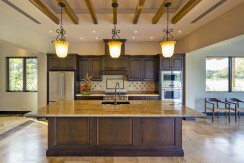 An outdoor kitchen complete with BBQ, counter top and fridge is ready for family cookouts. 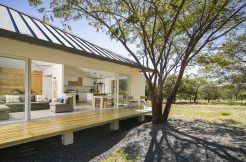 The main floor has two guest bedrooms, in addition to 3 on the 2nd floor, all complete with their own ensuite baths and walk in closets. 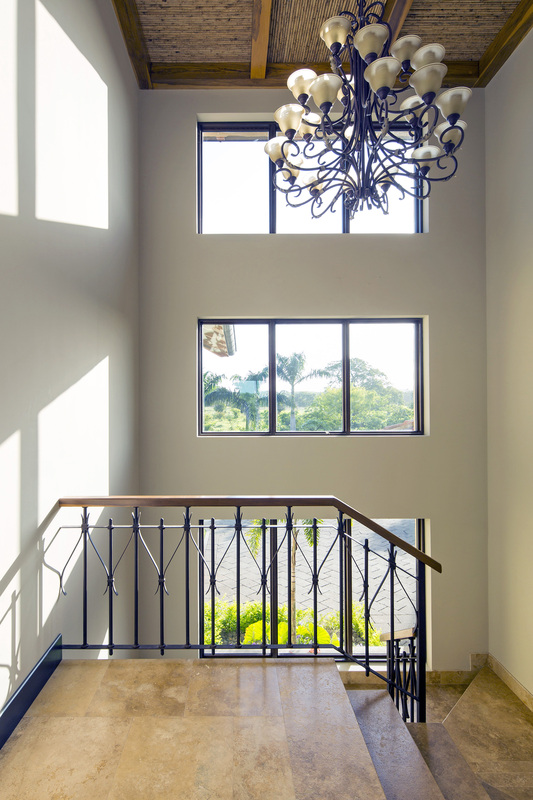 A rustic and rich wrought-iron staircase gently curves upstairs to a bright and airy second story. 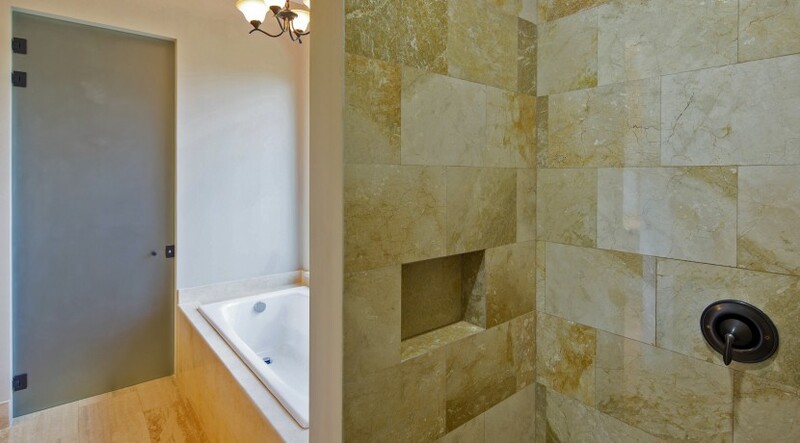 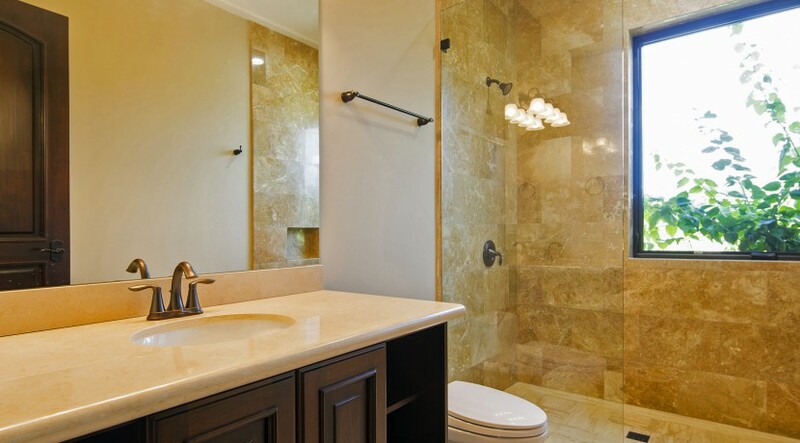 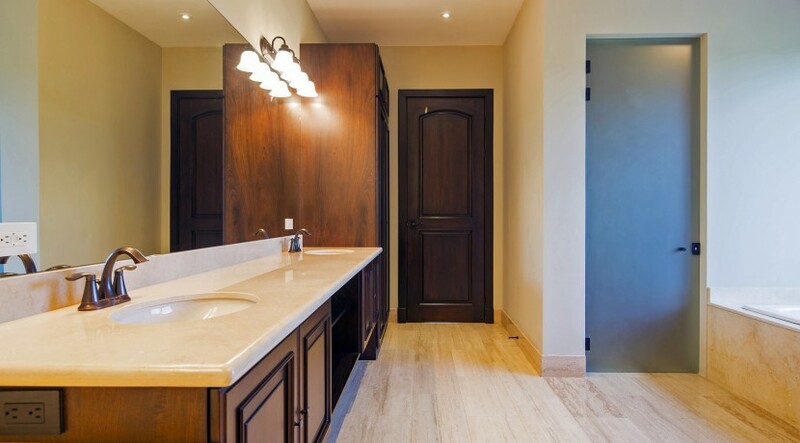 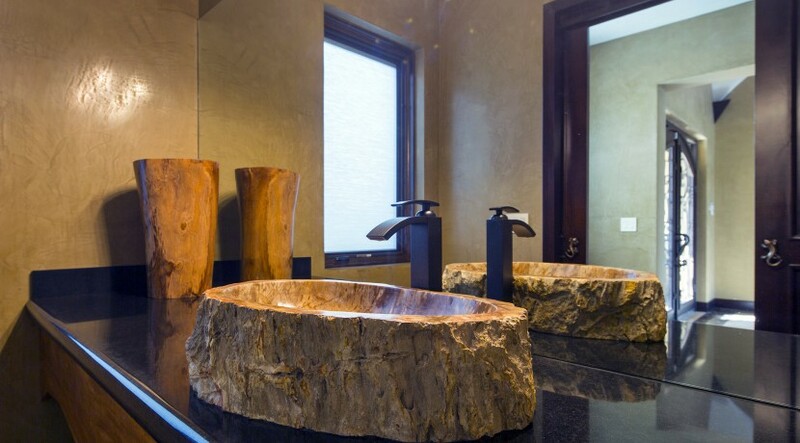 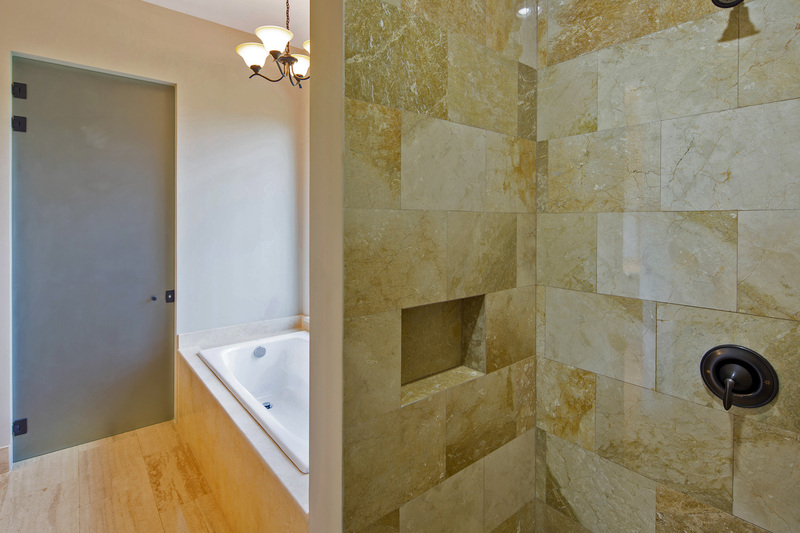 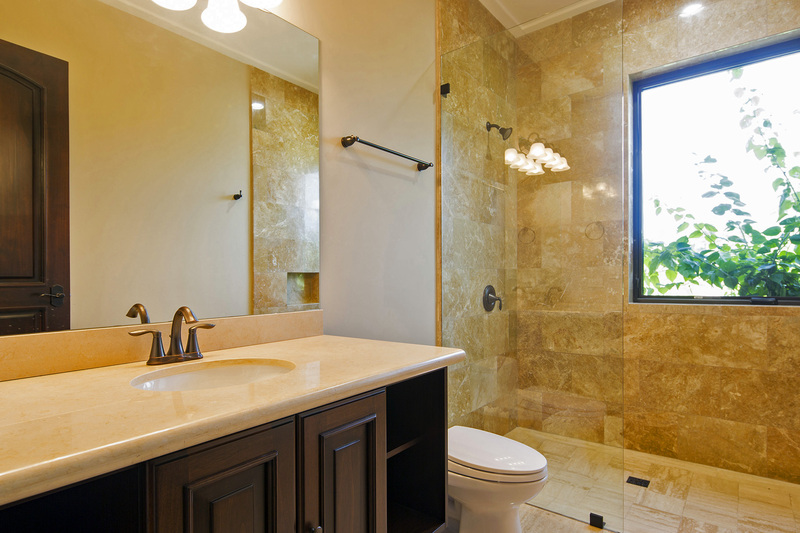 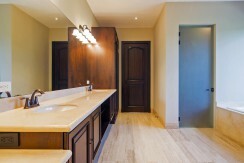 Located here, the master suite is outfitted with a posh 5-piece bath and its own private terrace. 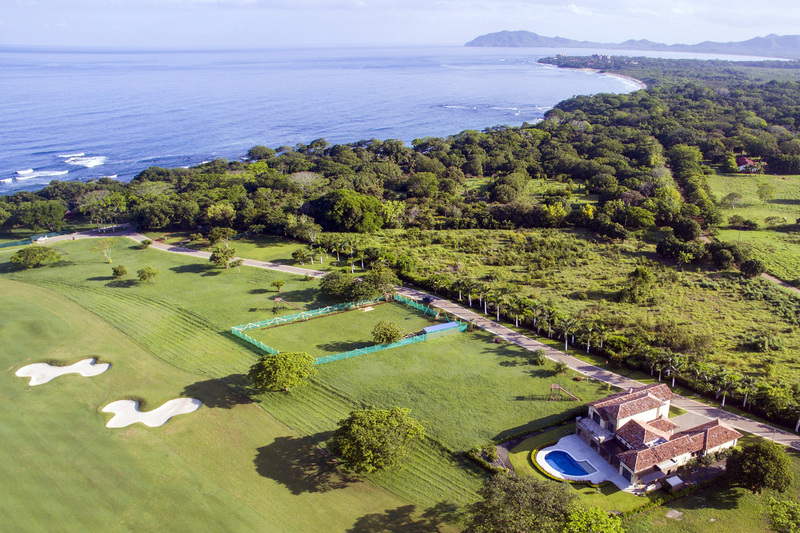 Hacienda Pinilla has a private Beach club on playa Avellans with an onsite al fresco restaurant and Wellness center. 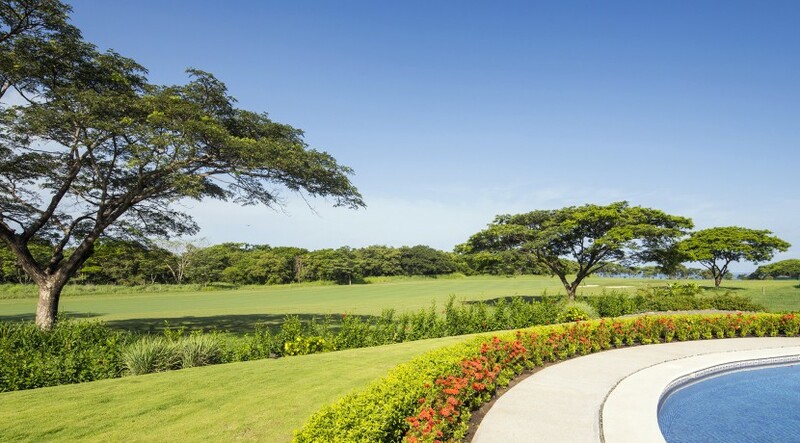 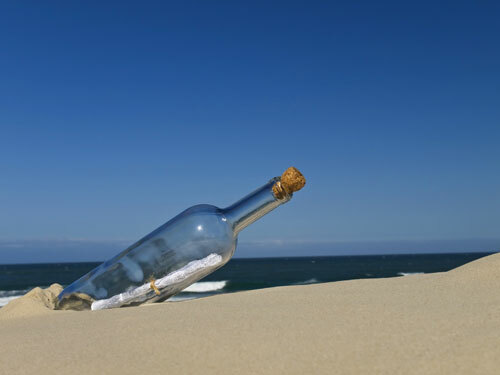 In addition, there are 2 tennis courts, 18 hole championship golf course, mountain bike paths, nature trails, the JW Marriott and 3 miles of the best beaches in the country. 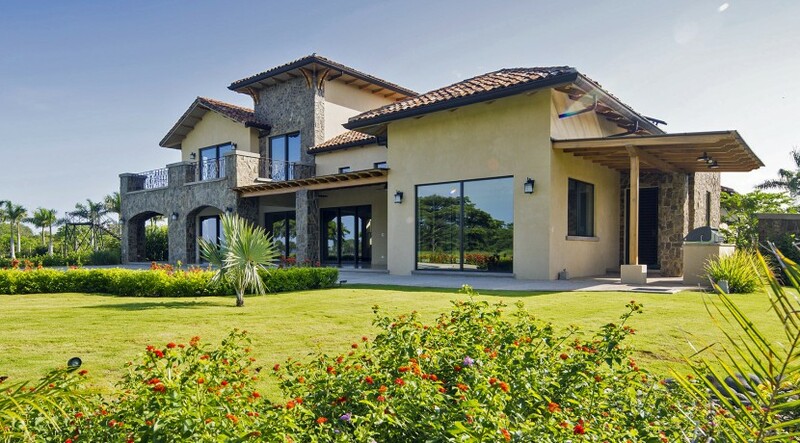 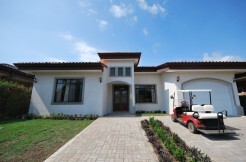 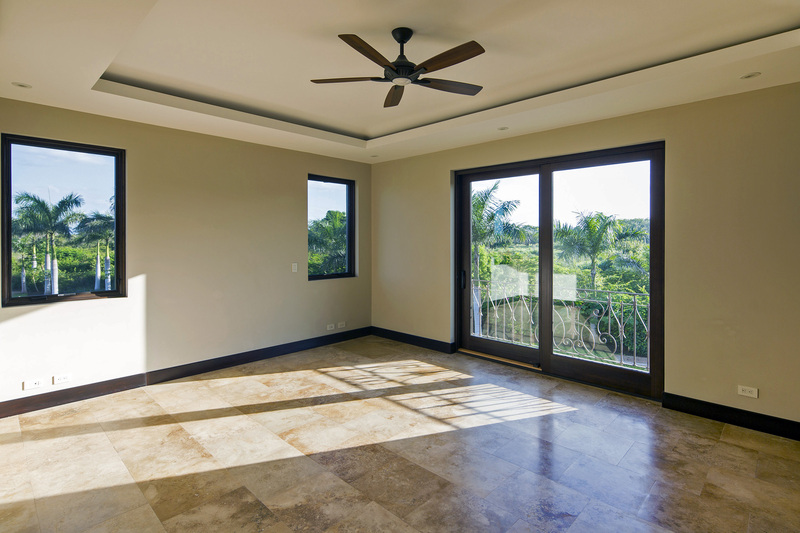 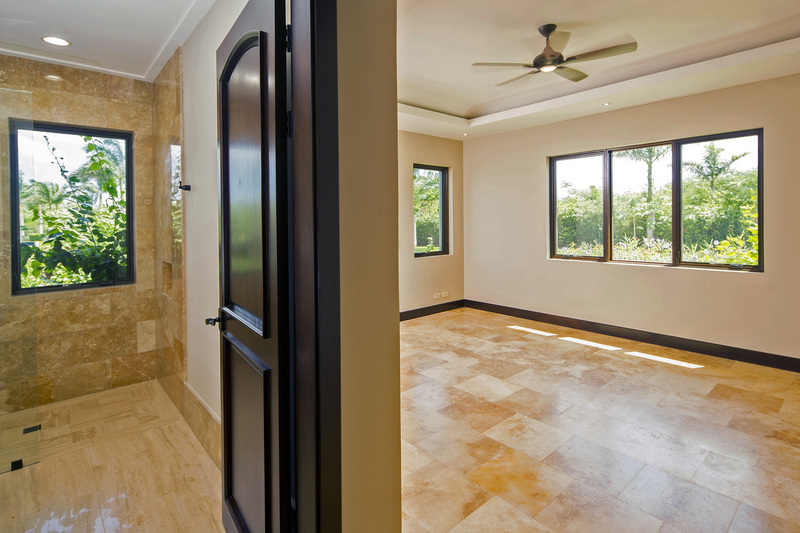 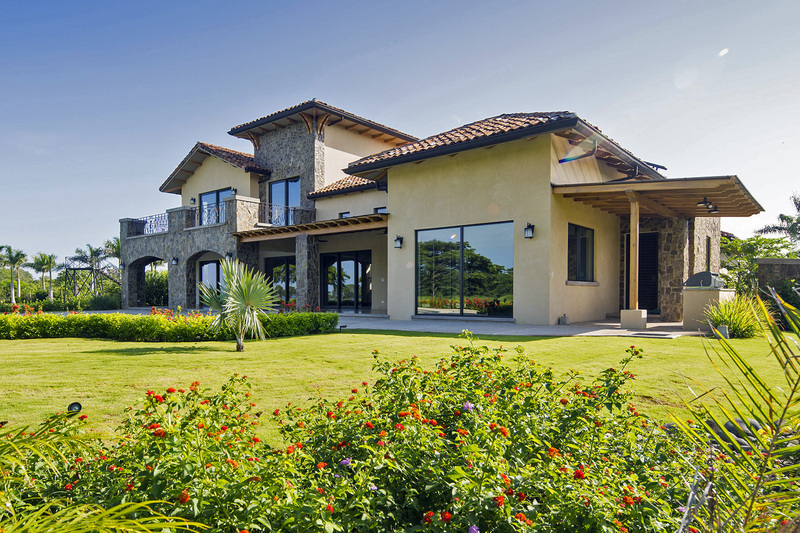 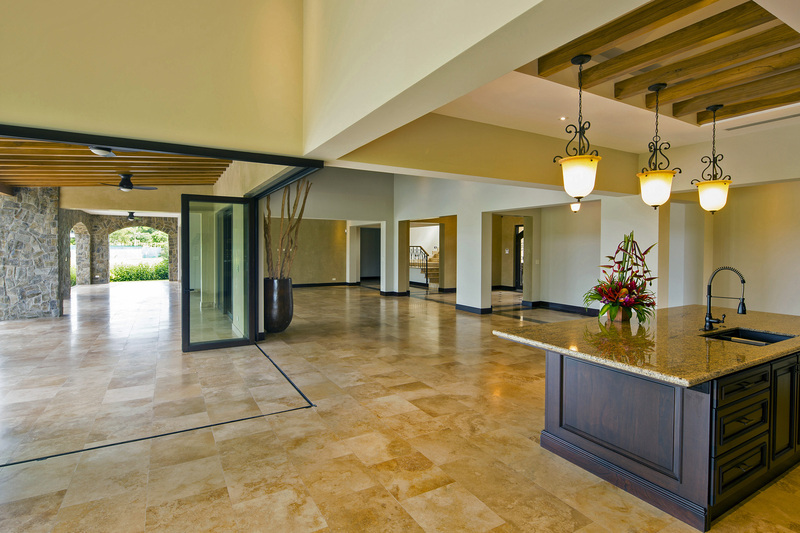 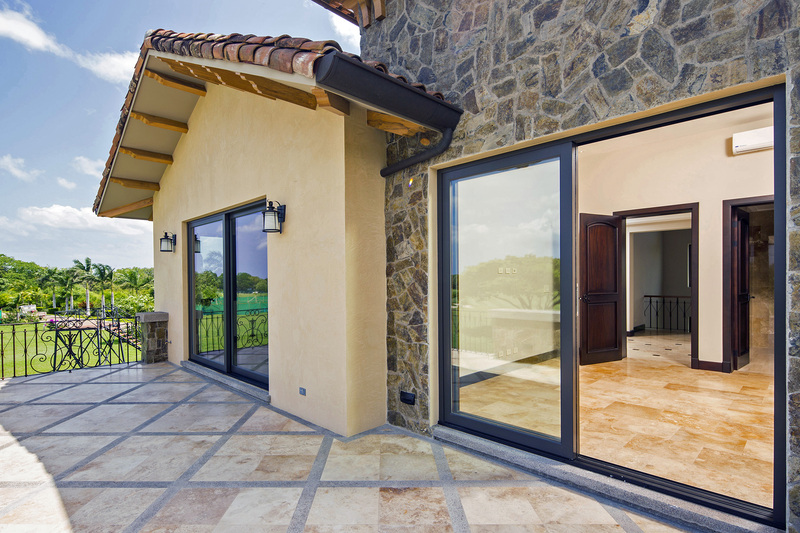 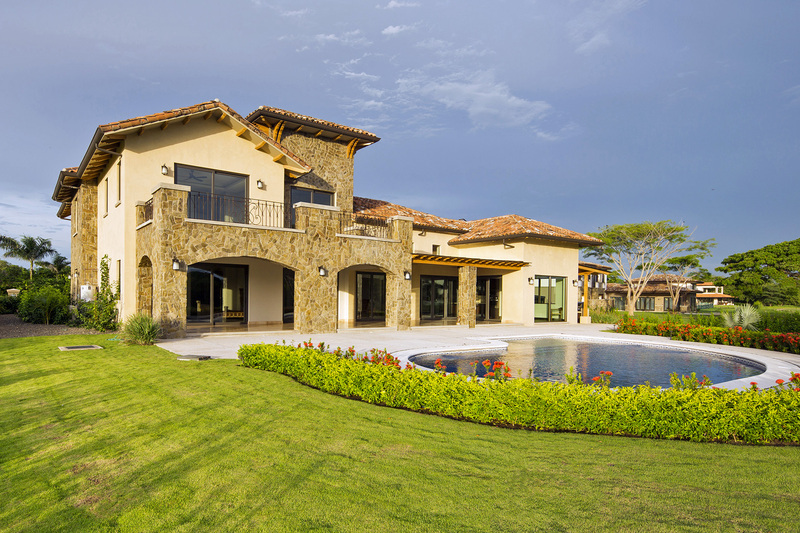 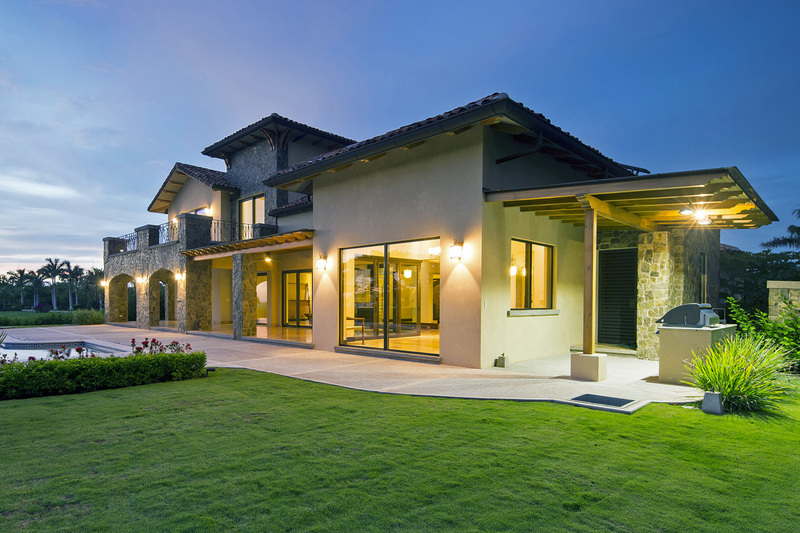 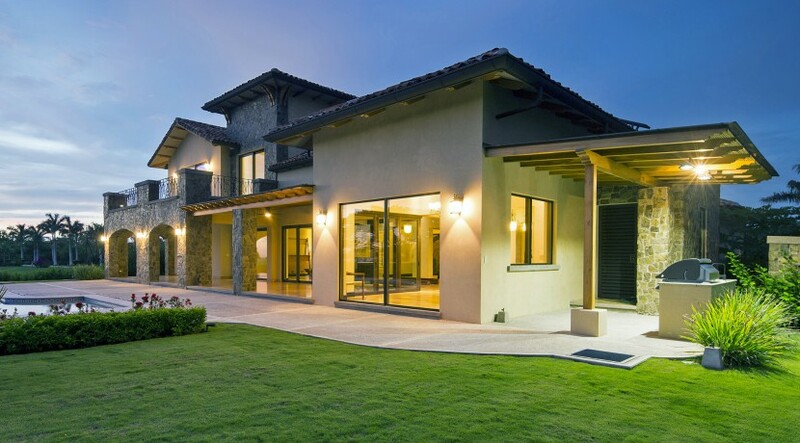 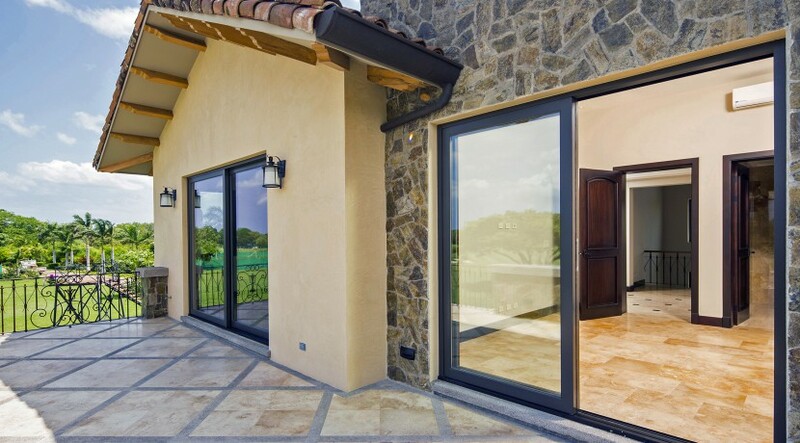 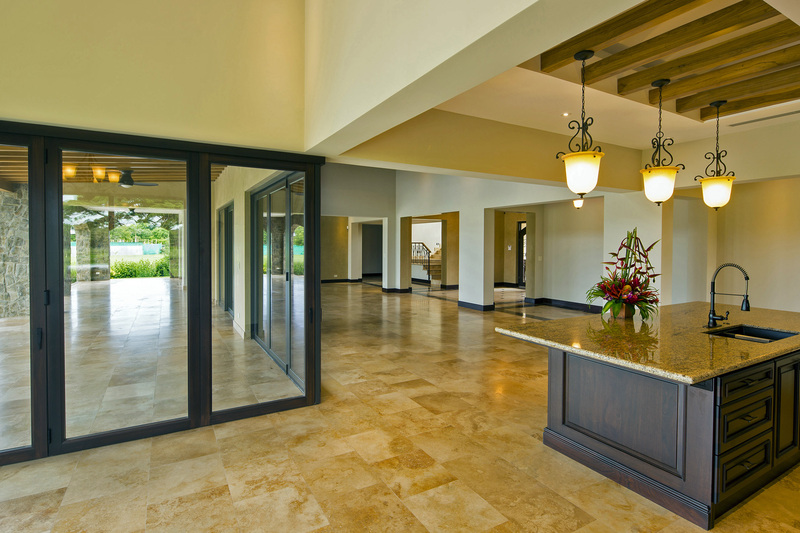 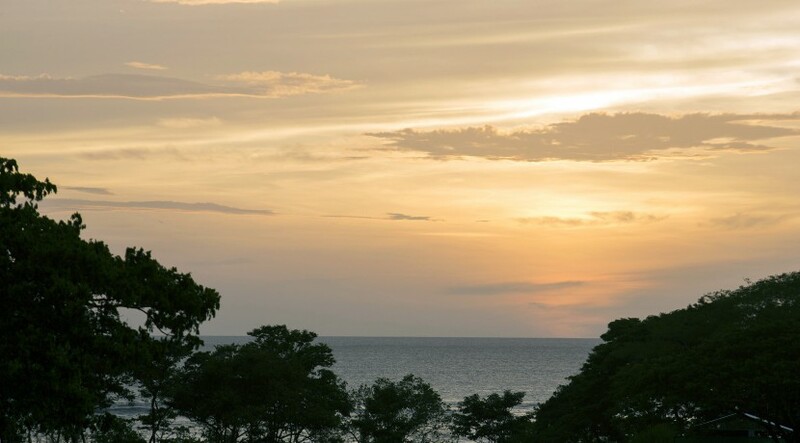 With low HOA fees of $350 / month, owning your own estate in Costa Rica, was never so easy. 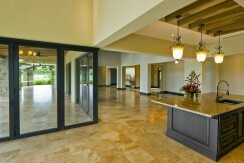 Contact us today for more details.